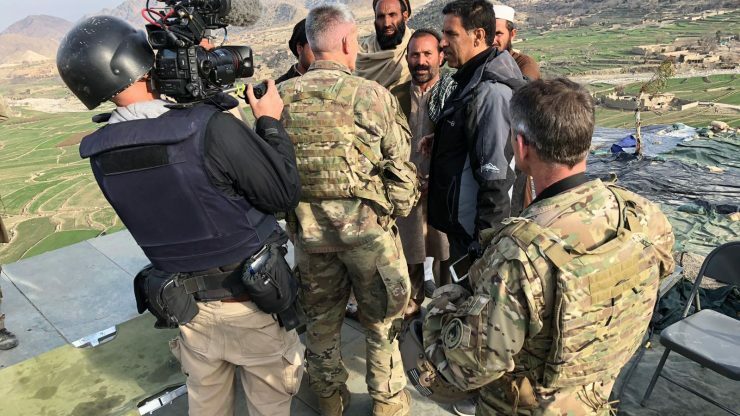 Alessandro Pavone is a freelance cameraman and producer who often finds himself covering news events in some of the world’s most inhospitable and dangerous countries. I sat down with Alessandro to ask him about his work and also what equipment he uses to cover these stories. I am a freelance camera operator/producer based in Dubai, United Arab Emirates, and I regularly work for the US public broadcaster PBS in the Middle East and Africa. 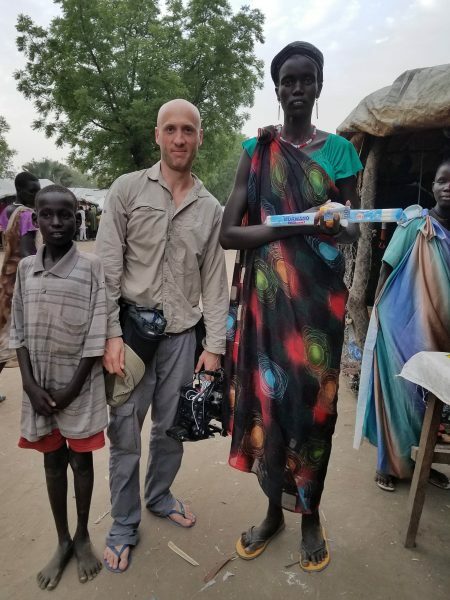 I have spent the last eight years of my career filming current affairs and documentary programs covering major conflicts and humanitarian crises around the world. 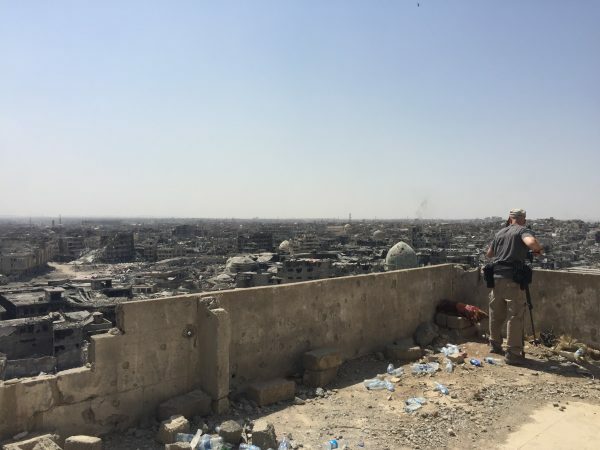 I was part of the PBS Newshour team to receive the 2017 Overseas Press Club citation (honourable mention) in the Edward R. Murrow Award for their “The Fight for Iraq” series. I was based in Kabul for three years, then Istanbul and London. I have documented the recent terror attacks in Paris and Brussels, ethnic violence and humanitarian crisis in the Democratic Republic of the Congo and South Sudan, and also climate change issues in Greenland and Somalia. My work has appeared on CNN, BBC, Al Jazeera and VICE on HBO among others. I have improved my camera rigs during the past five years taking into account the harsh conditions I usually have to deal with. 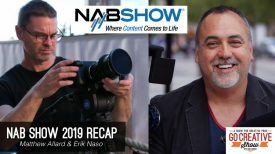 I would really like to thank all my colleagues that helped me during this process and I hope this contribution to Newsshooter could be beneficial to those camera operators who have just started to work in the same field. What cameras do you use and why? 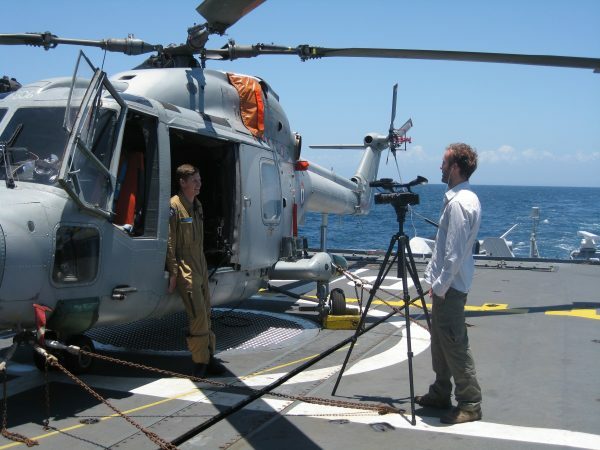 Around 13 years ago I started filming for news programs with the Sony XDCAM and Panasonic DVX cameras, which are great tools for fast turnaround and live news workflows. When the Canon 5D Mark II was released I decided to invest in DSLR cameras. Now I have a Canon C300 Mark I and a Sony a7S Mark II. I think the two cameras make a perfect combo for news and documentary DPs. 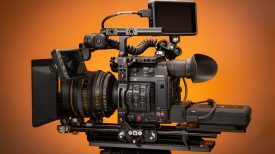 The C300 delivers stunning image quality, and it’s relatively small and easy to customise depending on different shooting styles. 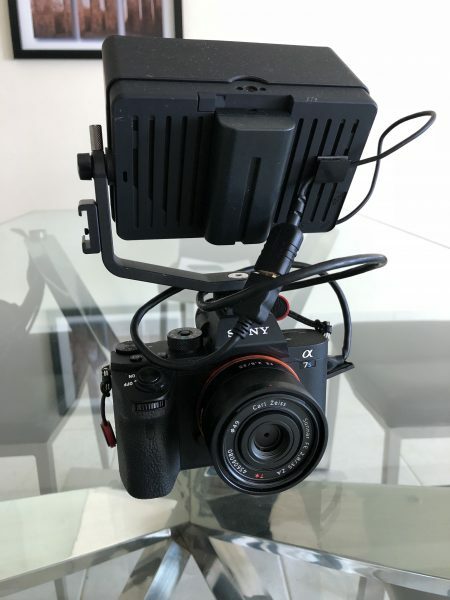 The Sony a7S Mark II is a great asset for low-profile/incognito filming, run and gun and extreme low-light filming. The high frame rate options also allow me to capture slow motion, which is something that the Canon cameras can’t deliver. 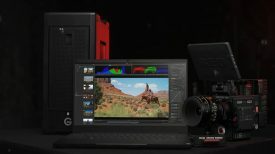 What do you like about the Canon C300 and how do you use it? I like to be able to relocate the monitor because it gets hard to have it right in front of you when you wear helmets or protective masks. That’s why I use the Movcam top handle combined with different rods. It then becomes quite a handy rig because the detachable hot-shoes allow me to mount an LED panel and radio mic receivers on the top of the camera. I barely use the camera’s EVF (I like to be vigilant to my surroundings) and I mainly rely on the C300 LCD monitor covered with a Hoodman sun hood. It is sometimes quite hard to see it when shooting in bright sunlight, but it’s definitely a cheaper solution than the Zacuto Z-finder or the Gratical Eye. Also, external monitors or electronic viewfinders are usually power hungry and I prefer to minimise the amount of battery-charged devices I have to take care of, especially when you’re out in the middle of nowhere in Africa with limited or no access to electricity. 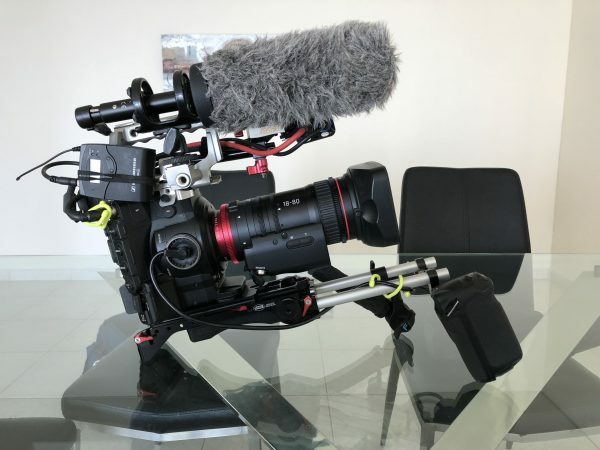 Do you use a shoulder rig? I have tried quite a few different shoulder rigs and I really like the Vocas USBP-15 MKII. It’s light, it supports V-lock quick release plates. The sliding plate is a really great add-on when you have to swap different lenses with different weights. 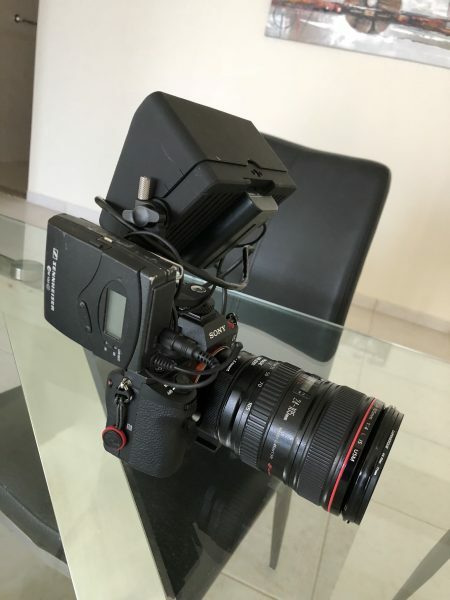 I used to film with extension arms but I found them too cumbersome when shooting inside cars or small vehicles, so I dropped them and now I just attach my C300’s hand grip with a Zacuto Relocator to two rods connected to my Vocas rig. Do you have a preferred tripod system? I own the Sachtler FSB-6 / 2 MD Aluminum Tripod System. I have been using these solid and super light sticks for the past six years and it never lets me down. I know you like to keep light and mobile, so what lenses do you use? Canon EF-S 17-55mm F/2.8 IS USM: a reasonably fast lens with a perfect focal length for POV documentaries. Canon 70-200mm f/2.8L + Canon Extender EF2XIII: great for b-roll and interviews. I believe you also just bought the Canon CN-E 18-80mm. How do you like that lens? Yes, I recently bought the Canon CN-E 18-80mm T4.4 COMPACT-SERVO Cinema Zoom Lens and I’m very happy with it. The footage looks very sharp, colours are much more vibrant and it’s much easier to work with a manual iris control. I’m not really bothered by the limited aperture, and I think it’s a perfect work-horse lens for news package shooting. Plus, it’s a great deal for a cine lens (“only” $5000). 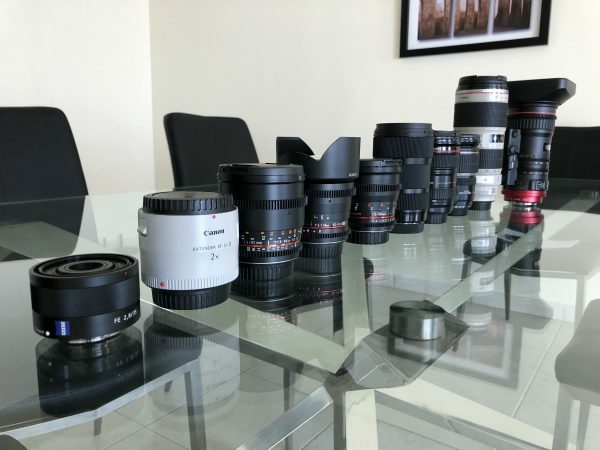 Are there any other lenses you use? Sigma 18-35mm f/1.8 DC HSM Art Lens: a must-have lens for low light filming (especially if you have a C300 mark I), and it provides a great aperture for interviews as well. I used to film with the MōVI and DJI Ronin stabilisers, two huge rigs that are definitely too difficult to carry around for a one or two men crew. 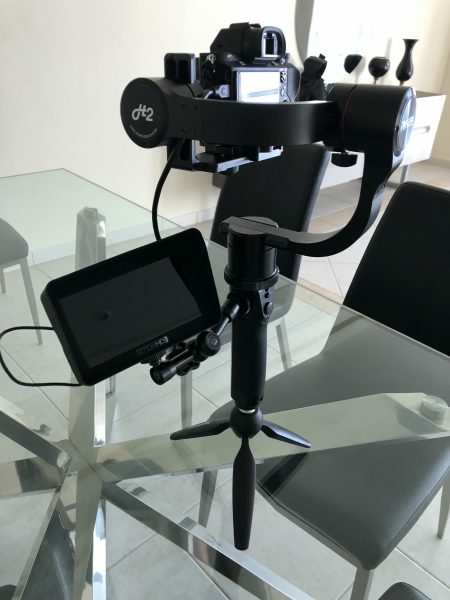 I find the DJI Osmo footage too “digital” and it doesn’t really match with my Canon C300, so I have opted for a joystick stabiliser for my A7s II, including an external monitor (the Sony’s native one is too small in my opinion). I pack this rig inside a tiny backpack and I try to carry it with me all the time. You have to check the stabilisation’s settings every time you take it out of the bag, so it’s not an ideal solution for run and gun situations but I think it works perfectly for walk & talk or B-roll shooting. The main issue with this rig is the lack of control of the focus on the camera, so either you shoot with your aperture between f8 and f11, or you give it a go with the face detection autofocus (I wouldn’t do it). This is my basic rig for run & gun or low-profile shooting. It’s not ideal for the sound (I didn’t want to start adding a cage, XLR units etc. 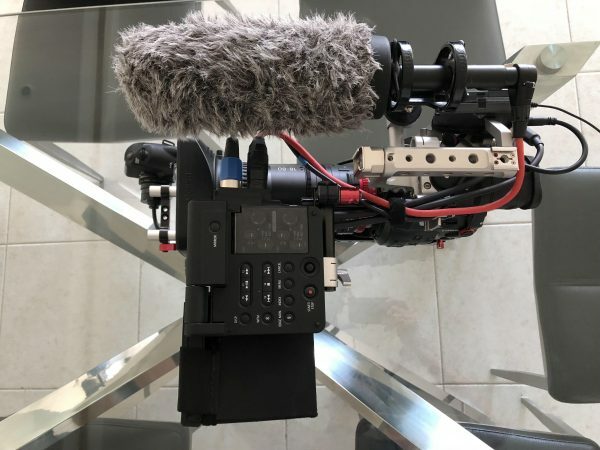 otherwise this rig would have become too heavy for my wrist), so I just attach one radio mic receiver or a tiny RØDE VideoMic. I have an extra Manfrotto 290 Xtra tripod for two cameras interviews. Sometimes I attach the camera to a light stand or a Manfrotto table tripod when I can’t carry two tripods with me. I use one Cineroid FL400S Flexible LED Panel Light (very easy to fold it inside a check-in bag and relatively powerful for indoor interviews) along with a tiny Fotodiox Professional LED Video camera light kit bi-colour (624) LEDs. I have tried the CHIMERA 1880 LANTERN WITH SKIRT – 20” + Manfrotto combi-boom stand and I’m pretty satisfied with the results for such a small amount of gear. I basically attach my Cineroid LED panel inside the lantern and it gives you a soft light that combined with a pair of reflectors simply works great for a two cameras interview’s setup. Big thanks to my colleague Scott Anger for the suggestion! I possess a Dedolight kit but I tend to leave it at home when I travel to the field. It’s an extra 12kg bag. Yes, the HipShot Belt. This was suggested to me by another Newsshooter reader and contributor Spencer Chumbley. The HipShot is a camera belt with an integrated camera-platform that allows you to comfortably and quickly place your camera next to your waist. It’s a real life-saver when you can’t carry a tripod or you have to film long interviews standing on your knees (whoever works extensively in the Middle East knows what I’m talking about). I have a large Newswear pouch for my 70-200mm lens, another regular one for the Sigma lens. and a Lowepro pouch for filters as well. Do you use a drone, and if so, which one? I recently bought a DJI Mavic Pro and I have to say that travelling around this part of the world with a drone is just a massive headache. 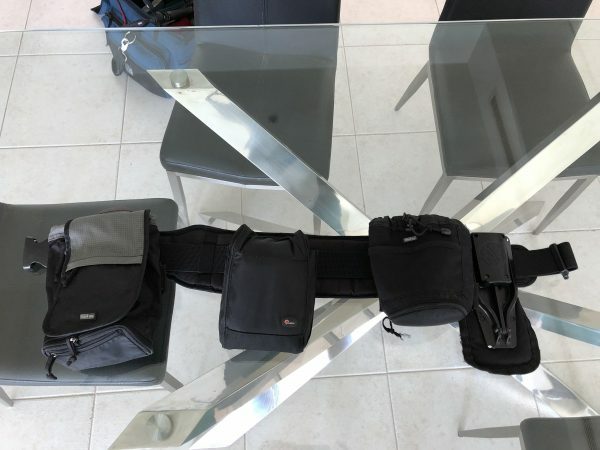 Satellite phones and drones are a magnet for greedy custom officers, so I suggest to unmount your Mavic and spread all the components into different bags. It will probably help when you get through x-rays checks. As you travel a lot, do you have any tips for other shooters? This is the most valuable set of advice I can share with you because it’s actually my personal Dantesque Inferno! My job usually takes me to remote areas in the middle of nowhere, and I am a frequent traveller on armoured vehicles, tiny planes or crowded minibuses. Forget about carrying heavy Pelican cases. Unfortunately, Mother nature only gave me two hands and you will hardly find a trolley in the middle of the jungle. 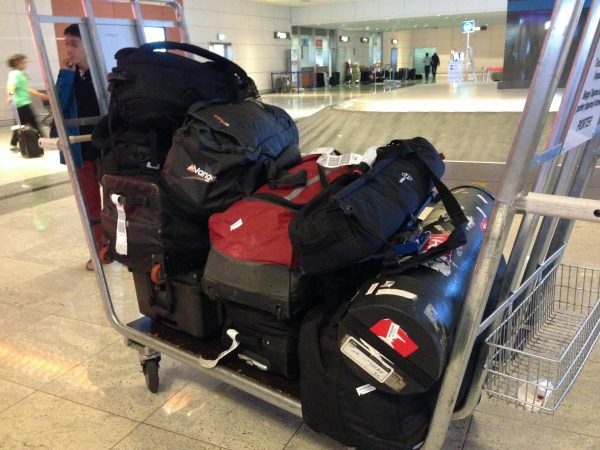 Plus, most of my clients find it hard to believe air carriers might actually charge you up to $300 for 10 extra kilos so I can’t really afford to carry four or five bags with me. 1. I should be able to carry all my gear by myself without any help. 2. All my bags should fit inside a Toyota Corolla’s trunk. Why a Toyota Corolla? Because 90% of cab drivers in Africa and Asia have a Toyota Corolla!!! I pack my personal things and the rest of the gear (lights, pouches&belt, gimbal etc.) inside a big North Face bag, making sure the weight never exceeds 30kg (maximum allowed weight for check-in luggage). Lastly, I pack my tripods and a couple of stands in a soft tripod bag. I know, it is not ideal and I have experienced several damages on my gear but a tripod hard case is just as huge as an abominable snowman. If people want to contact you, how can they do it? Please visit my website if you are interested to check my work or send me an email [email protected] if you have further question.